Forest Garden Acorn Finials and Post Caps – Pack of 2: beautify and protect your fence by installing the Acorn Finials and Post Caps on top of your posts. Imitating the simple beauty of the acorn, they will look great but at the same time prevent rainwater to penetrate and rotten your fence posts. 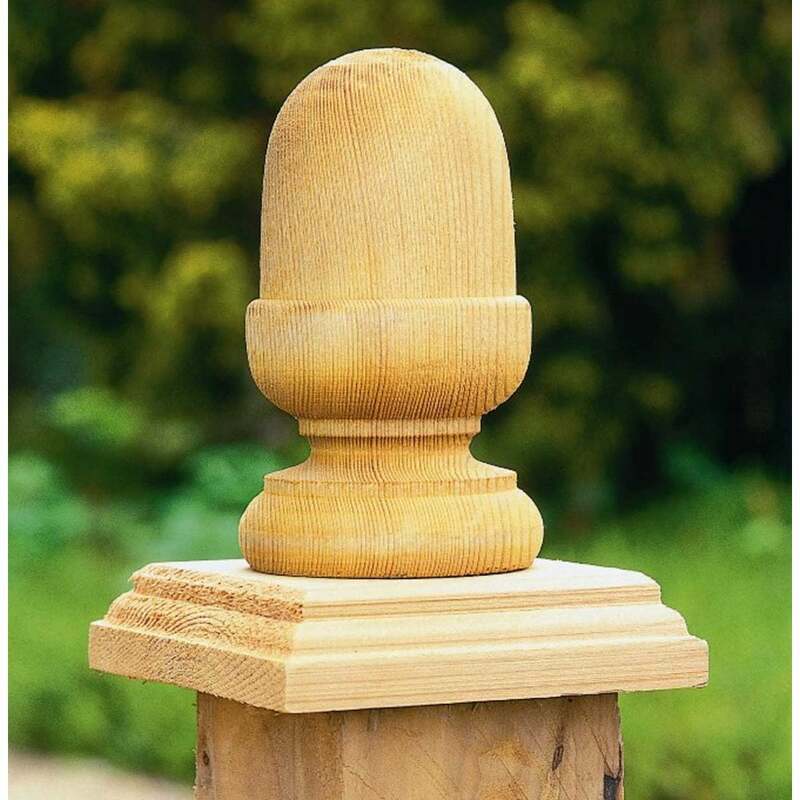 The smooth-planed surface of the timber makes the Forest Acorn Finial an elegant and high-quality fence post solution.